Did you pay for your wedding cake on your one year anniversary? Did you put the down payment on your car after your first oil change? Ridiculous, right? 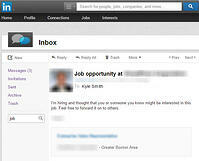 Then why do companies pay after the date of hire for inside sales candidate referrals? Many companies pay out after the candidate has been hired and working for 30, 60, or even 90 days. That length of time doesn’t incent immediate action and leads to little or no referral efforts. Think of your referral process in the same way you would qualified appointment setting. If an SDR sets a meeting that meets the proper criteria, they’ve done their job whether or not the deal ever closes. Their job is to put sales reps in front of qualified prospects. When generating referrals, the goal is the same: put qualified candidates in front of hiring managers. Let’s say you are willing to pay a $2000 reward per hire. Assume you’ve done the math and you know that you need 25 applicants to find 1 hire. Your reward per valid referral would be $80 in either cash or a gift card upon acceptance of resume. Instant gratification rules! You need concrete, realistic and documented experience, and skill requirements. It has to be 100% clear what makes a candidate either qualified or not. Give them a personal link to share, a way for the candidate to enter who referred them, and instant feedback on an applicant being accepted. That is how you’ll scale from 1 to n+1 referrals per person. You need a big red button to let your referral pool know when you are no longer accepting candidates. Also consider adding a deadline or counter ticking down to zero. Scarcitydrives action. Equip your network to message their own LinkedIn networks. Give them templates to use, “I heard about a great opportunity and here are the 3 reasons I think you are good fit……”, etc. Obviously this isn’t a one-and-done cure for hiring ills. The job description still needs to sell the role. The company still needs to be exciting and full of promise. The process still needs to be fun (or at least not soul-sucking). If you have open reqs to fill, give this a try. What say you? How are you generating candidate referrals from your network?